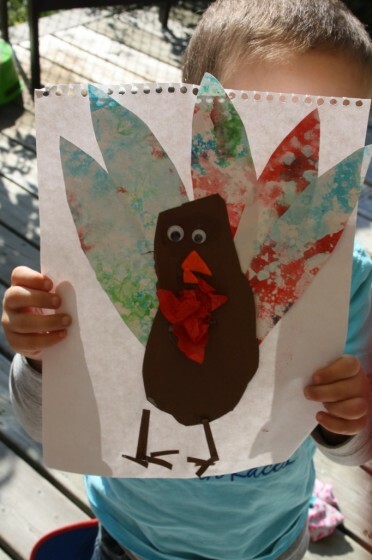 This week-end, we’ll be celebrating Thanksgiving, so we made this cute footprint turkey craft today. 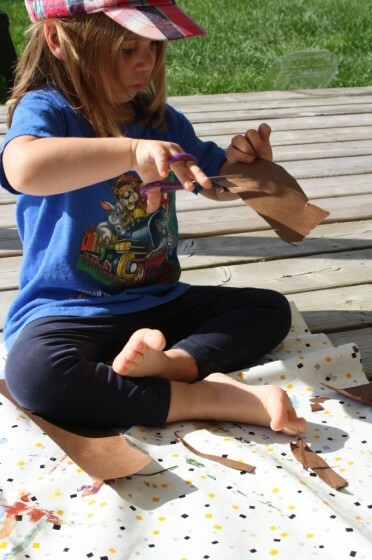 Everyone loves a footprint craft, right? Sure they do! 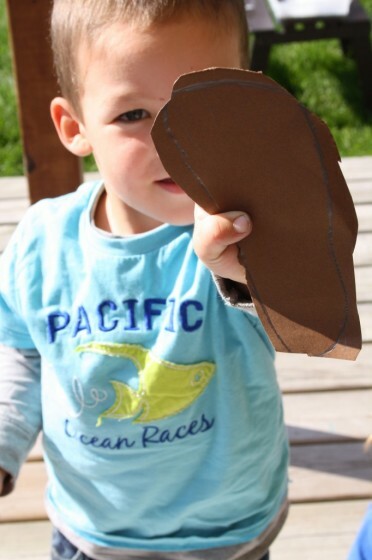 As a parent, you love having your little one’s footprint immortalized in a quirky little craft made by your wee one. I’ve never met a kid who didn’t love to trace his foot, so this one’s popular with the kids too. And we’re trying out a new painting technique! 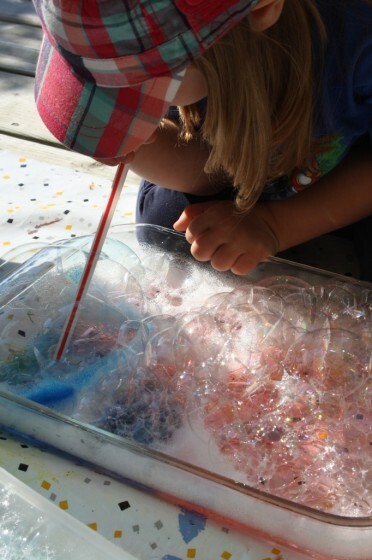 Painting with bubbles! Very fun! 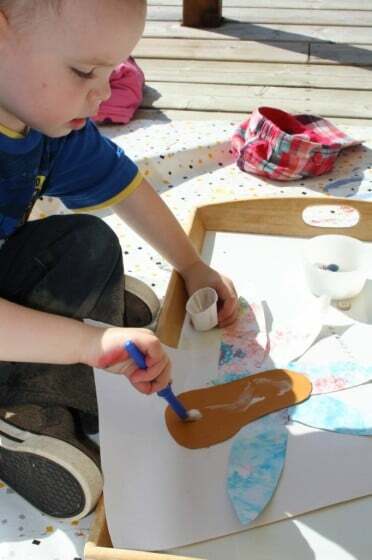 Footprint AND bubble painting to make our little Thanksgiving turkey craft. Could it get any better than this? I’m going to send you over to The Chocolate Muffin Tree so you can follow their instructions for Bubble Painting. 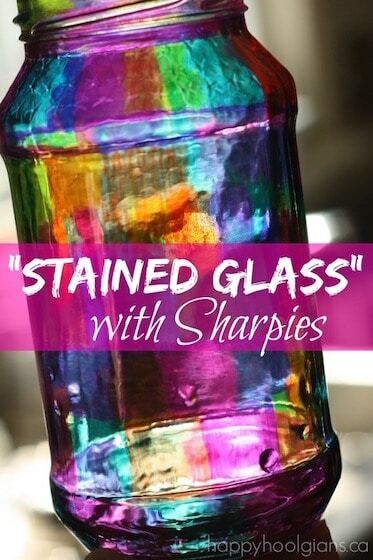 You can use Food Coloring instead of Tempera Paints , but your results may be quite light. 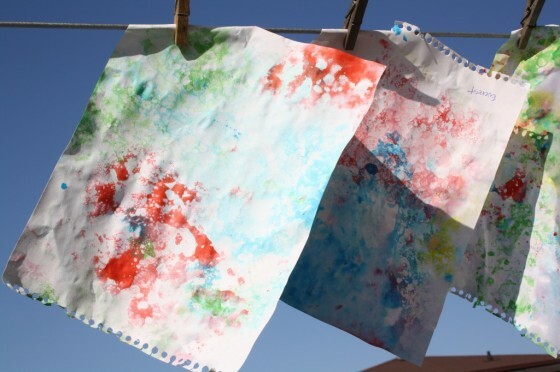 To remedy this, sprinkle some drops of food colouring right on top of the bubbles before making your prints. 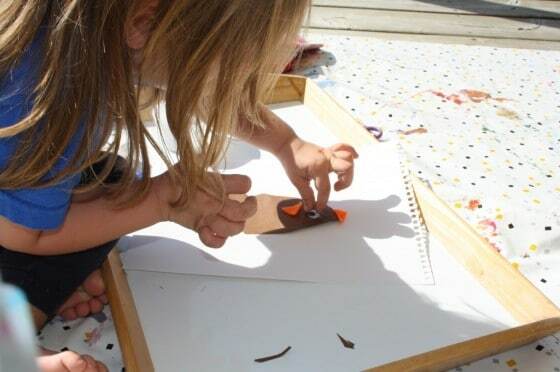 While the prints were drying, the Hooligans made some foot tracings and cut them out. These would be the bodies of their turkeys. Yes, her feet were wet. She had been sitting by the pond and decided she’d “cool her feet off” with her socks and shoes on. 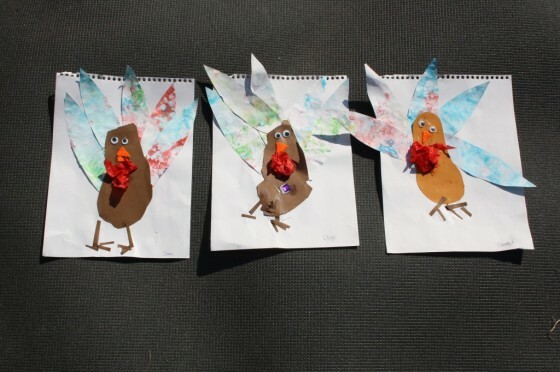 I cut the “feathers” out of the bubble prints, and the kids glued them to a piece of paper, tucking them behind the body of the turkey (which we’d half glued to the paper already). Then they added eyes, beaks, feet, and a crumpled piece of red tissue paper for the wattle. Look at the way this 3 year old made the beak for his turkey. How creative and realistic! And you know what I love? 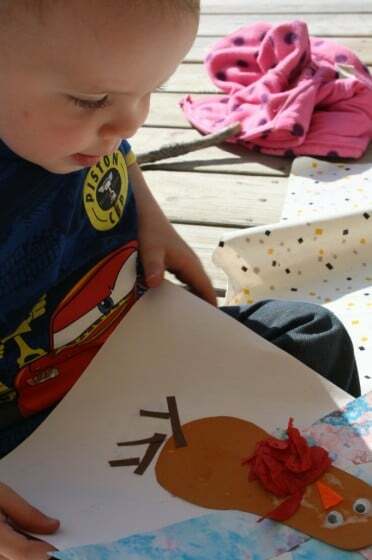 I LOVE how a two year old looks at his project, when it’s finished, in complete awe, like he can’t even believe that he made it. That never gets old. 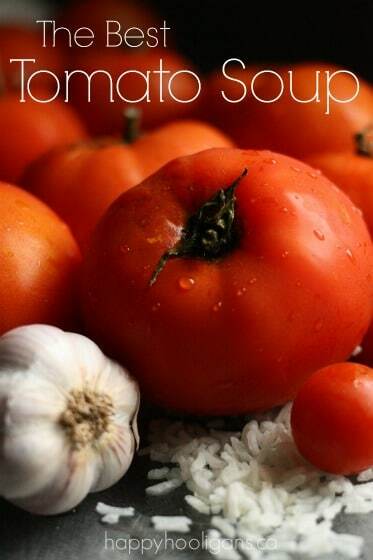 Just found your blog and it is great. What fantastic ideas you have. 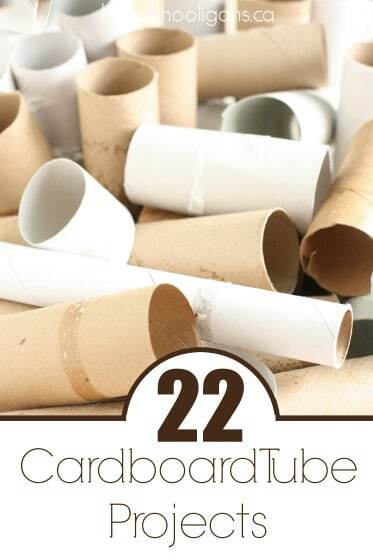 I would like to know one thing, what do you do with all the “creations” afterwards Do you have a huge storage box with loads of stuff in it or do you every so often put some in the trash? 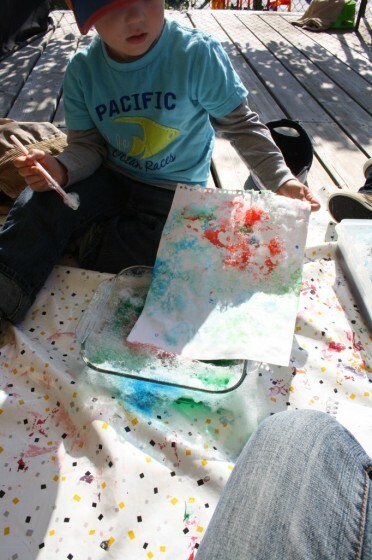 bubble painting is such fun! Happy Thanks Giving! Yep sorry, I realised you were a daycare just after I posted the note! trying to find a good way of not just getting rid of all my kids art, esp the non picture things. Your site is very impresive. Thank you again for sharing. HI there, Happy Thanksgiving to you and yours!! I have a question on this craft. 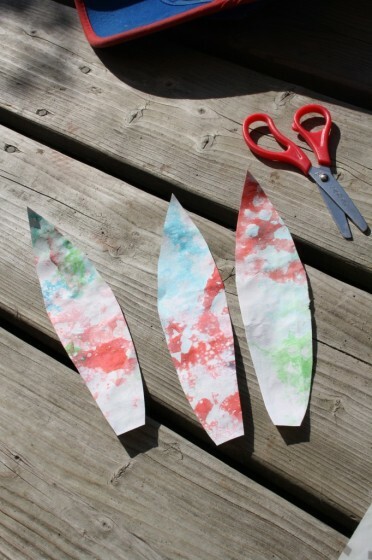 How to you get the bubbles to the paper?? 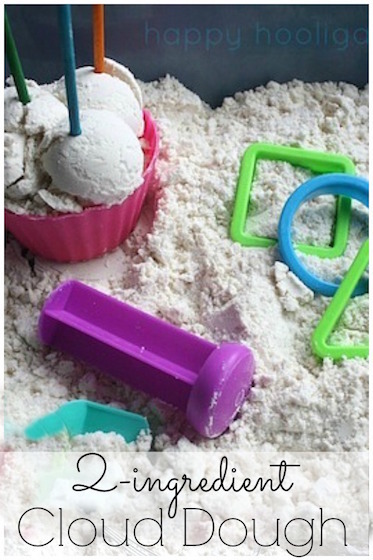 Do the kids blow up all the bubbles and that lay the paper on top of the dish?? I missed that part in the steps? My son would be very happy and excited to make this one!! Hi Sandy! Thanks! And yes, that’s exactly how it’s done. 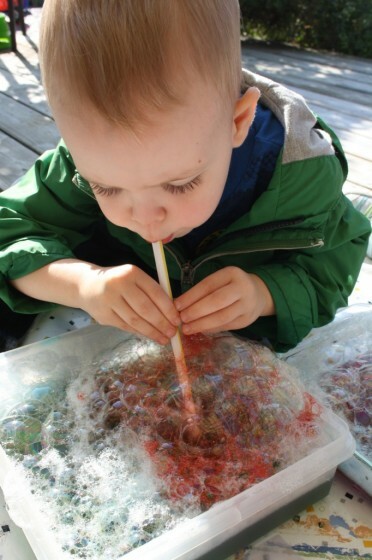 Blow lots of bubbles, lightly press paper on to the bubbles and lift off. I think if you use paint, the bubbles will be nicely coloured. Our food coloured water made for very pale (almost white) bubbles, so I ended up just dripping the food colour onto the bubbles once they blew them up. 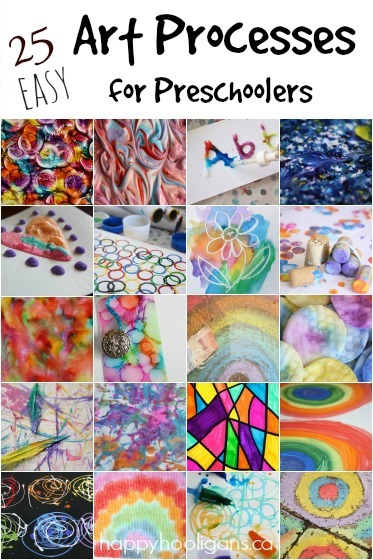 I love the bubble painting for the feathers Jackie! 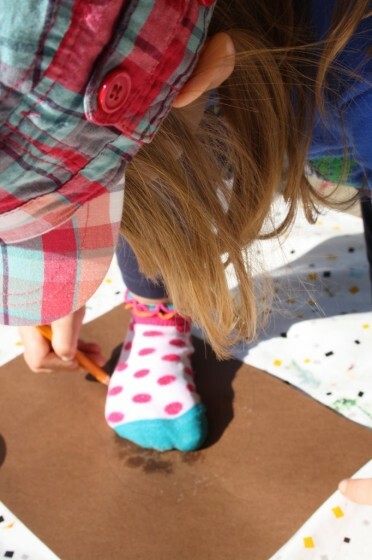 Footprint turkeys are so great – I take them out each year and show the kids how small their feet use to be 🙂 Thanks for sharing at Discover & Explore this week!